Our Ku-band low noise block downconverters (LNBs) can help you meet exacting commercial specs and military standards for fixed, mobile and airborne SATCOM applications. 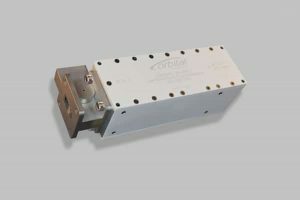 Built for the 10.70 to 12.75 GHz frequency range – and offering bandwidth of up to 1050 MHz – these Ku external reference, Phase Locked Loop (PLL), and Dielectric Resonator Oscillator (DRO) LNBs are of the highest quality. And like all our LNBs, they are fully customizable, hand-tuned and tested, and reliable. High-quality Ku LNB that is switchable between multiple preset input frequencies. Up to 1.05 GHz bandwidth per LO. External reference or PLL. Ku-band LNB for a fixed frequency. Exceptional performance for commercial and military SATCOM applications. External reference or PLL. 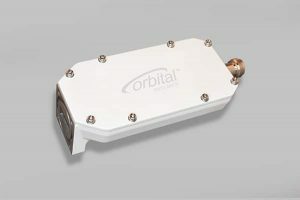 Entry-level external reference Ku-band LNB for professional SATCOM. Available for all three ITU regions. Bandwidth of up to 750 MHz. Ku-band LNB enhanced to meet demanding, customer-specific requirements. Bandwidth of up to 1050 MHz. External 10 MHz reference. Entry-level Ku PLL LNB for applications that require high performance but not the low phase noise provided by an external reference. Enhanced Ku-band PLL LNB with extended bandwidth of up to 1050 MHz and 40 to 60 dB gain. Customizable for wideband applications. High-performance Dielectric Resonator Oscillator (DRO) LNB for Ku band. 45 to 55 dB gain, 500 to 750 MHz bandwidth. Small package.